Our Online Document Management Solution streamlines your business document management processes. The Online Document Management System provides small businesses with a cost effective solution with flexibility to save time on administration whilst still providing a professional and reliable service to customers. 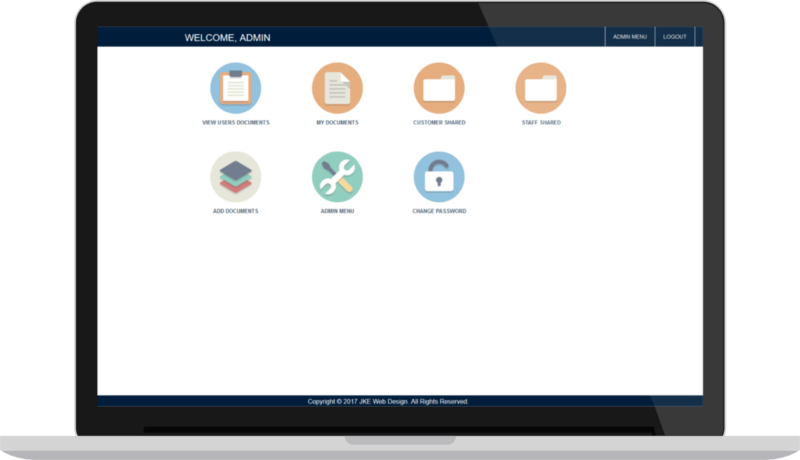 Our secure document manager lets you store and organize documents online so that you and your clients can access documents in the cloud no matter where you are. You can share documents online with colleagues, customers and partners. We look after the initial setup for you and provide a walk through of how to use the intuitive interface. See the range of features and benefits you get with our Online Document Management system as standard below, delivering you the Document Management system you need at a great pay as you go price. 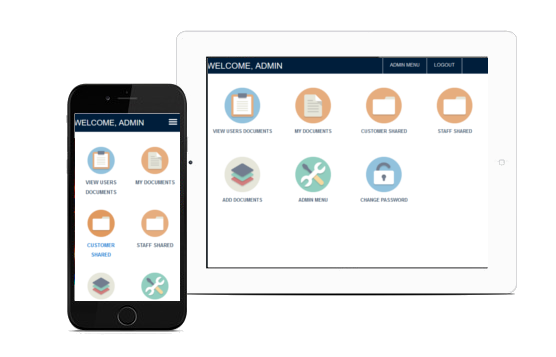 You and your customers can access your Online Document Management System from a mobile, tablet, laptop or PC, on the road or from the comfort of home. Our Document Management system is web based allowing you to access it from anywhere at anytime with an internet connection. Using responsive code the layout of the system adjusts to maintain an easy to use interface at all times on all devices. No. We will help you set up your Document Management system and guide you through all the features free of charge. No. You can cancel at anytime and we will stop your subscription at the end of the month or we can can freeze the account during times when you do not need the document management system. If you have paid for the year upfront there will be no refund on remaining months. Do you charge per document fees? No. There are no additional charges taken for any of the doument management services. You pay the set fee for the package. This can be paid monthly or we will give a discount for yearly payment. Do you limit the number of documents or users? No. We do not think you should pay for a document management system only to be told you can not store more documents or add more customers.